Det ofta svårt att förstå sig på Kinas ekonomi, som är uppbyggd på ett helt annat vis än vad vi är vana vid i väst. Staten spelar en långt större roll än hos oss, och tillväxten de senaste åren har främst byggt på en kombination av billig tillverkning och statliga investeringar. Denna modell är ju – som jag tidigare nämnt här – just nu i förändring, då landets nya ledare istället vill öka den inhemska konsumtionen. För den som vill lära sig mer om Kinas ekonomi – såväl historia som tillstånd och framtida utmaningar – listade The Diplomat i helgen 10 läsvärda böcker i ämnet. Despite a faulty narrative of Peking University’s Michael Pettis being a “China Bear,” this book, like his popular blog, is not a scare story. Having been vindicated by unfolding events, Pettis’s previous predictions of growth falling (it already has) and reform becoming urgent (China’s leaders seem to agree) and debt building up unsustainably (it has been) leave this book as a key read for those seeking to understand the reform process in China. The book addresses the questions: What has been happening? What needs to change? What happens if it doesn’t change? Michael Forsythe’s recent fallout with Bloomberg over alleged censorship of a story embarrassed the NY-based news and financial information company. Judging by the detail and professionalism evident in this book, Bloomberg was foolish to lose him. Forsythe and Sanderson go further than just explaining the activities of the gigantic China Development Bank. The book also reveals a lot about China’s growth model, overseas resource acquisition strategies, and some international political risk profile problems that China’s investments might face. Walter and Howie’s book, when published in 2011, created quite a stir for being one of the first English language volumes to actually explain many of the more complicated aspects of China’s financial system – in particular how local government financing platforms were being established and capitalized, and the characteristics of the bond market. The book also examines the debt build up in China’s economy. Joe Zhang’s personal hands-on experience in China’s finance system (both at the People’s Bank of China, UBS and in microfinance) gives him an interesting perspective on China’s shadow banking system. The book came out just as worries about shadow finance were increasing and is thus a must read for those interested in the sector. Michael Pettis’s second book was reviewed on Pacific Money last year. A brilliant explanation of the global trade system, and how domestic policies affect the international outlook. A pretty technical book that delves into the mysteries of China’s financial developments throughout the 1980s and 1990s, Factions in Finance is a fascinating look at how politics can affect finance and how finance can affect politics. Jonathan Fenby’s broad look at China contains some interesting insights into the wider picture – including social, environmental and political factors facing China today. It doesn’t take too much extrapolation to link nearly all these factors to the economy. Getting right down to the human face of China’s growth miracle, Harney‘s book serves as a fascinating reminder that GDP figures, export numbers and other headline statistics stand atop a pyramid of human toil. George Magnus’s (of UBS fame) book was originally published in 2011, and focuses on the problems facing emerging markets as they move up the growth pyramid. Aging populations and a lack of innovation are highlighted among key problems that must be tackled, and Magnus stresses how some fixes require institutional and political changes that will not be easy. Bra och pedagogisk översikt på svenska är Klas Eklund: Kina (SNS Förlag 2011). Den har jag haft stor nytta av. 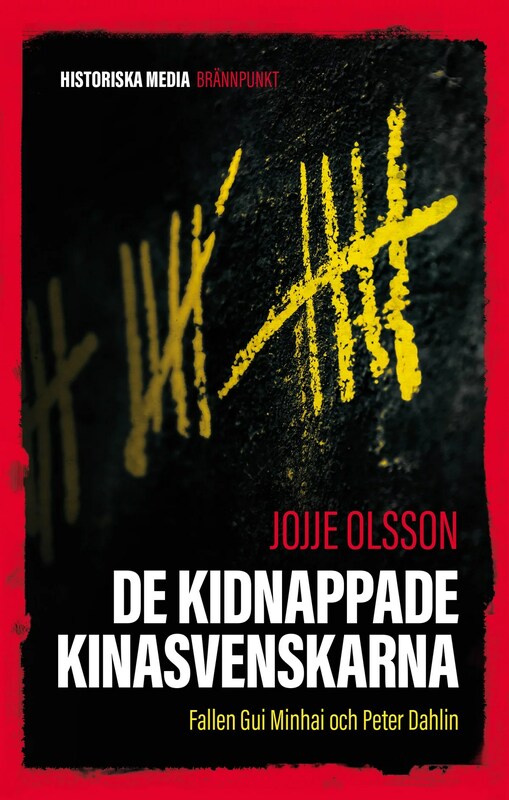 Kan starkt rekommendera Jojjes bok. Otroligt intressant att läsa om både staden och folkets förändring. Har du tips på böcker som är skrivna på kinesiska av kinesiska författare?